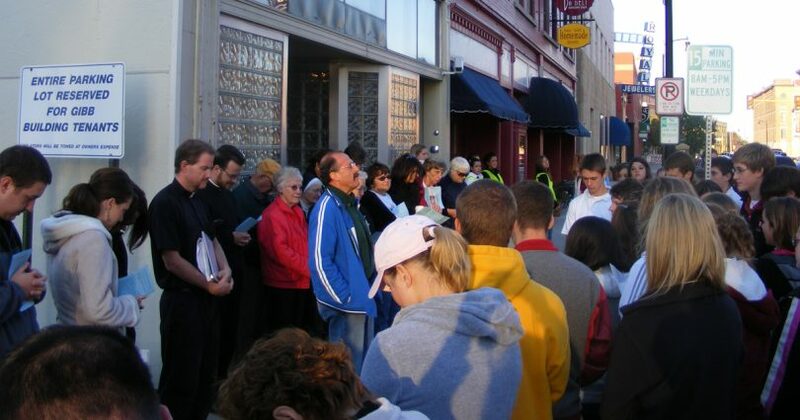 As the national campaign director for 40 Days for Life, Bereit represents the more than 30,000 prayer volunteers who participated in the fall 2008 campaign—for many of whom this was their first-ever pro-life activity. This biannual event is now sweeping the nation and is the largest coordinated pro-life outreach in history. “Who would have ever thought that what began as a relatively small, local campaign would have such a profound impact across this nation and beyond?” he wondered aloud. Additionally, during this latest campaign, several people quit their jobs in the abortion industry, resulting in clinics advertising immediate staff openings, and a number of abortion centers were closed on days when abortions are usually performed. The group did face significant challenges throughout the campaign, most notably, newly proposed legislation designed to stifle peaceful pro-life activism on the streets of New York City. On the opening day of the fall 40 Days campaign, New York City Council Speaker Christine Quinn announced the Clinic Access Bill, which would create 15-foot buffer zones around “reproductive health care facilities.”2 Despite the bill’s widespread support from proabortion lawmakers, Slattery intends to fight the proposed legislation every step of the way. “With prayer, smart tactics and good people, you can make a profound impact,” he asserted. 1Patrick Daub, The Wednesday STOPP Report, October, 29, 2008, American Life League, www.all.org/article.php?id=11666 (accessed November 24, 2008).